Mississauga is a constantly urbanizing neighbourhood of the GTA, and a new condo townhome development is the perfect addition to the flourishing area. The modern three-story mid-rise project from Sierra Building Group is incredibly well suited to its surroundings, and makes for the perfect investment in a constantly expanding part of Toronto. 4005 Hickory Drive is a pre-construction development slated to stand in the Rathwood neighbourhood of Mississauga. Investors will want to take note of this development. In addition to being perfectly located beside transit and entertainment, the project boasts a variety of layouts bound to attract a diverse demographic. This townhome community is the perfect modern yet rustic addition to the neighbourhood, boasting a unique exterior of red brick with concrete accents. The mix of materials provide an aesthetically pleasing contrast that makes it stand out among all the other homes in the area. The development is comprised of three storey townhomes, that are slated to house 70 units. Suites will be available in a range of two to four bedroom layouts. The suites will also boast stunning landscapes, as renderings of the property suggest plentiful greenery like trees and shrubbery encasing the community of homes. We can expect this developer to follow suit with their common design of luxurious, open concept units with top notch finishes like high-end appliances and tall ceilings. Units will likely come complete with balconies and/or terraces for private enjoyment of the city’s scenic skyline. This development’s private and community feel makes for the perfect ambiance of quiet and relaxation just outside the hustle and bustle of the city centre. Investors will want to make note of the stellar location of this townhome community. After all, the site boasts a walkscore of 78 out of 100, and transit score of 57 out of 100. The site is steps away from a bus route that will ensure quick and easy travel to the subway’s Line 2. This ensures door to door travel from point A to point B for students and professionals. Students will like having such seamless routes to the campuses of the city’s major universities like Ryerson University and University of Toronto. Similarly, young professionals will like living in a quiet suburb just outside the busy and energetic downtown core. In addition to being able to commute to the city’s career hubs like the Financial District, professionals will also be able to easily commute by car, being nearby Highway 403. There is something to be said about being able to be removed from the dynamic centre, while also having it and the culture it provides at your fingertips. And Tomken Road Middle School. Although the city’s wealth of shopping, dining and entertainment options will be easily accessible, the immediate surroundings of the development also makes for great options. Most notably, the site is mere minutes away from shopping hub Square One. Square One offers a variety of retail options, including the only Simons in Toronto. Other retailers in the mall include Club Monaco, Kate Spade, Wilfred, Urban Outfitters and more. The mall also offers entertainment to warrant a day trip, including a movie theatre and restaurants like Scaddabush and Moxies. Errands will be as easy and seamless as finding shopping and dining, as major brands like No Frills, Food Basics and Longos are close by. There is also a Whole Foods and Walmart attached to Square One. Residents need not go far for day to day groceries, making it that much easier for families living in the development with daily cooking and food needs based on children. Students will also find it easy to pick up weeknight groceries, with such local amenities at their fingertips. Investors will want to pay attention to this development that is expertly located by public transit, local amenities like grocery stores, and unlimited shopping and dining options. The community truly offers something for all lifestyles, from students to young professionals to families. Proximity to schools, the highway and one of the most central shopping centres in the GTA makes this the ideal investment. 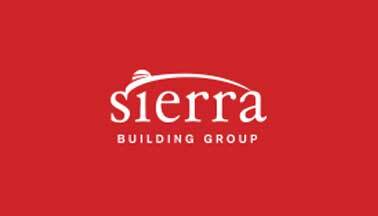 Sierra Building Group is a real estate developer with over 25 years of experience under their belt. They are renowned for creating distinctive, beautiful homes that set themselves apart from the plentiful developments in and around the GTA. They have a firm grasp on home building, as they understand that a home isn’t just a place to live, it’s a community to make a life and grow a family. They primarily build in stunning locations perfectly suited for home communities that ensure not just friendly neighbours, but an extended family.